Ernesto Che Guevara’s words on guerrilla warfare become particularly resonant on the anniversary of his death on Oct. 9, 1967, when he was murdered at the hands of the CIA and the Bolivian government. At the time of Che’s murder, U.S. intentions were to stifle the internationalist aspect of the Cuban Revolution – an attempt not only to destroy Che, but also to weaken Fidel Castro. Decades later, Che remains a source of inspiration evoked by many including Fidel, and the Cuban Revolution remains committed to its aims and anti-imperialist ideology. Che’s dedication to internationalist revolutionary struggle had been evident from the early years of the struggle to bring down the U.S.-backed Cuban dictator Fulgencio Batista. His inclusion in the revolutionary 26th of July Movement headed by Fidel was based upon an understanding that when the Cuban Revolution was consolidated, Che would earn the freedom to impart revolution wherever his efforts were needed. Che’s murder was assigned different narratives for decades. Within a wider framework, the varying narratives regarding the murder — in particular, those upheld by imperialist organs like Western media — were reminiscent of attempts to fragment the Cuban Revolution and its main protagonists, Fidel and Che. 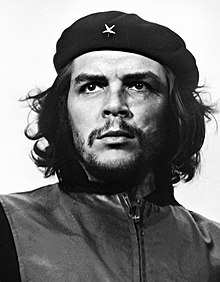 The narrative was also distorted by the capitalist exploitation of Cuban photographer Alberto Korda’s iconic image of Che – an image used to portray the downfall of a revolutionary removed from the revolution. Beyond the usual depiction of Fidel as a “dictator,” further manipulation existed, especially in efforts to separate the origins of the Cuban Revolution from its continuation. Attempting to portray Che’s intellectual role as one eclipsing Fidel’s, this narrative sabotage was used to promulgate a false view that Che’s capture and murder in Bolivia resulted in fragmenting the revolutionary process and internationalist struggle. Che’s assassination by the CIA, therefore, was held up as an ultimate imperialist triumph, even despite ensuing proof to the contrary. This proof largely includes the steadfastness of the Cuban revolution and its aims, as well as the example set by Che that was embraced by various nations in their own anti-imperialist struggles. Michael Ratner and Michael Steven Smith, co-authors of “Who Killed Che? How the CIA Got Away With Murder,” shed light upon the paramilitary organization’s targeting of Che, taking into account the legal ramifications as well as historical context. Biographical accounts of Che’s murder differ, from the complete exoneration of the CIA to vague implications of CIA involvement based on selectively given testimony by CIA officials. U.S. concern about Che revolved around the knowledge that internationalism, and therefore, the spread of the Cuban Revolution, was a possibility that necessitated elimination. To defend the revolution, Che deemed it necessary to extend it, especially within Latin America – in direct confrontation with imperialist interests in the region. Fidel’s words proved true, as a few months after Che’s arrival in Bolivia in November 1966 to challenge the CIA-backed presidency of Rene Barrientos, the guerrilla struggle started to disintegrate due to the CIA’s backing of the Bolivian military, infiltration which led to the betrayal of guerrilla positions, as well as a lack of support from Bolivian peasants due to extreme repression. On Oct. 8, 1967, Che and his group of 17 guerrillas were ambushed by the Bolivian army in a ravine near La Higuera. Wounded in the leg and hampered by a jammed rifle, Che was captured and taken to a little schoolhouse in La Higuera. He was killed the following day by Bolivian Sergeant Mario Terán. Following a macabre display in which officials posed near Che’s corpse, his hands were cut off and his body buried in a secret location. Not until 1997 was his burial place revealed beneath a landing strip in Vallegrande, Bolivia. Read more.